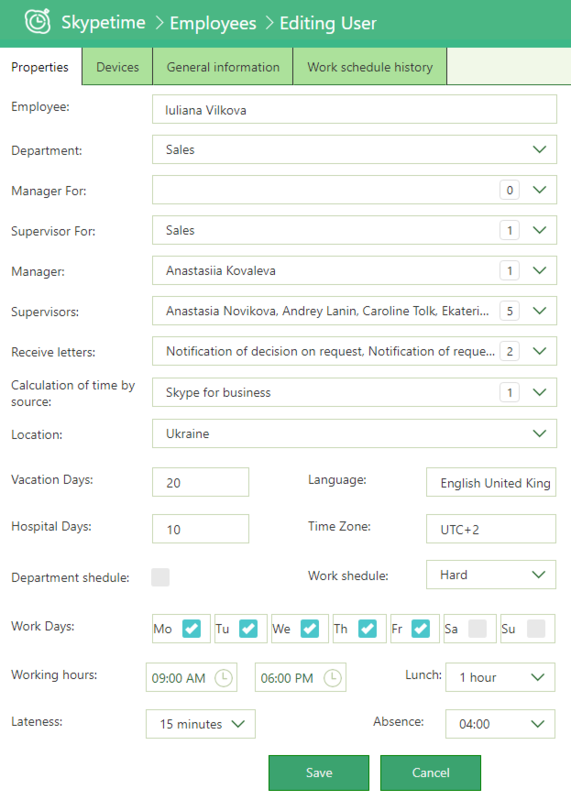 This directory displays a list of employees who belong to a particular department, taking into account the working hours, location and time zone. In the left panel is a filter, with which you can quickly search for an employee. From the directory, you can go to the Editing User page, where you can set the schedule (flexible, hard, not standardized), business hours, lunchtime and other settings. By default, the user settings correspond to the general settings of the department. Work schedule history – displays the employee’s work schedule for the entire period.